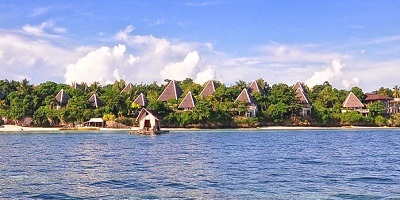 Travel in luxury and stay in some of the best luxury hotels in Bohol Philippines. 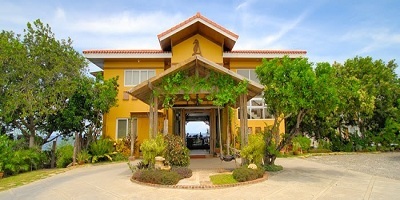 Get Discounted Bohol Hotel Reservations via our Partner Agoda. Get special internet rates by choosing your travel dates and sorting by price. 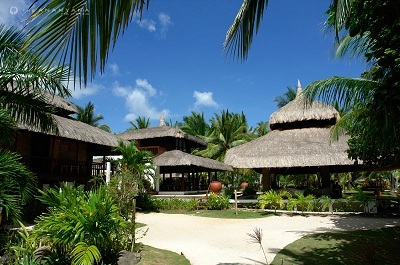 Find resorts from various locations around Bohol. Last-minute booking available. 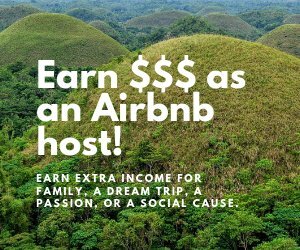 Make your Bohol Hotel Reservations Today! Limited rooms available. 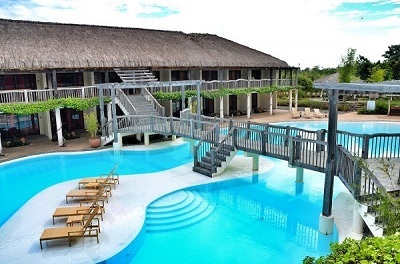 Located at Barangay Libaong in Panglao Island of Bohol, a premier tourist destination in Philippines, this resort is accessible to other tourist attractions including Baclayon Church and Museum, Balicasag Island Hinagdanan Cave, Butterfly Garden, Corella Tarsier Sanctuary and Chocolate Hills. 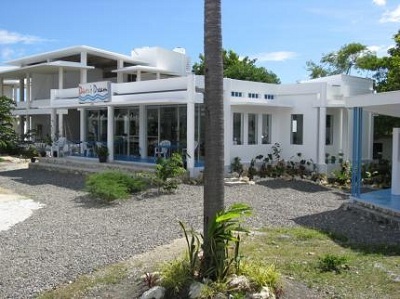 This international class resort, situated in Bohol, is located on top a beachside cliff. The resort offers pristine shores, coral reefs, and tropical jungles, in addition to private villas with gardens and personal plunge pools. Guests will have easy access to a myriad of interesting cultural, historic, and tourist attractions. Guests can explore the Chocolate Hills, go dolphin watching, and have a dinner cruise on the Loboc River. 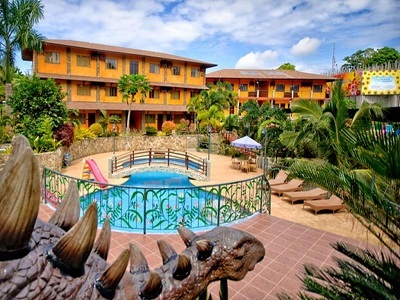 Guests will find all of the finest amenities in each of the 12 rooms in this popular 4-star hotel. All rooms have hair dryer, air conditioning, daily newspaper as well as other amenities. All 14 rooms at this 3.5-star hotel are tailored to satisfy guests' needs. Featured in each room, among other amenities, are television, shower, in room safe. 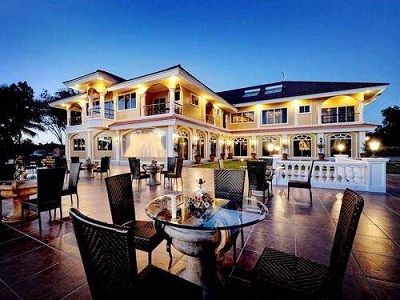 In addition, this property in Bohol has tours, car park, room service. Each of the 1 rooms at this fine 3.5-star hotel feature superior amenities. Shower, balcony/terrace, mini bar, inhouse movies are among the amenities guests will find in every room. For the comfort and convenience of guests, you'll also find safety deposit boxes, disabled facilities, airport transfer, shops on-site. Residing along a beautiful beach and surrounded by lush tropical plantation, this boutique style resort offers guests a lap of luxury. 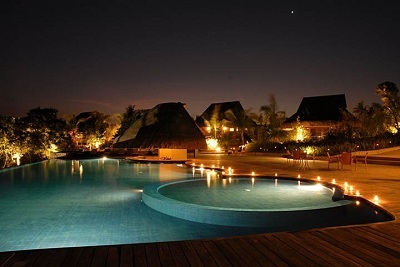 The resort’s infinity pool is the central aesthetic attraction as it blends perfectly with the nearby sea. 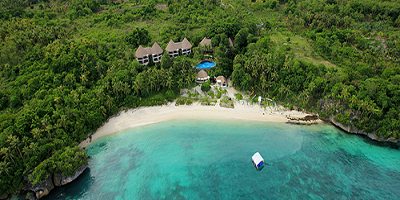 Recreational activities for your enjoyment include badminton, ping pong, scuba diving, jet skiing and island hopping. The resort’s mini-library features DVDs and several books, providing a nice way to unwind after a long day. 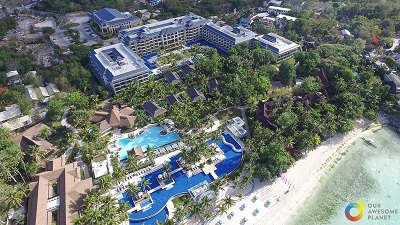 Residing along the pristine white sands of Panglao Island, the hotel exudes a tropical island ambience mixed in with city conveniences. The 51 rooms feature private balconies and terraces with garden and sea views - a great setting to enjoy a romantic meal if the numerous other dining options don’t tickle your fancy. The international size tennis courts, children’s fishing area, water sports and diving spots are sure to keep guests busy. 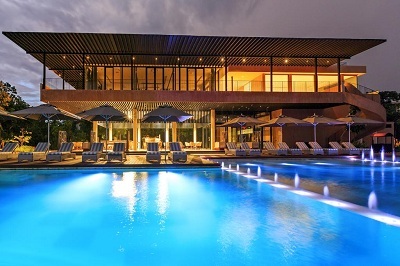 All 25 rooms at this 4-star hotel are tailored to satisfy guests' needs. To make each guest's stay comfortable, all rooms feature shower, television, desk. 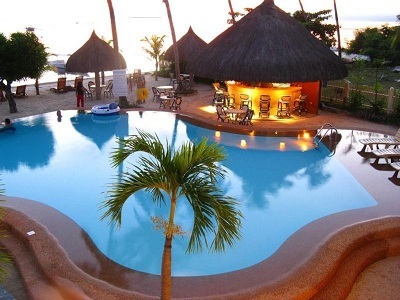 There are just 12 rooms available in this exclusive four-star resort, located on Alona Beach, Panglao Island. The on-site restaurant offers a range of local delicacies and international fare. Sit back and relax in one of the hotel's 68 guestrooms, all designed with guests' comfort in mind. Included in all rooms are hair dryer, television, desk, separate shower and tub. 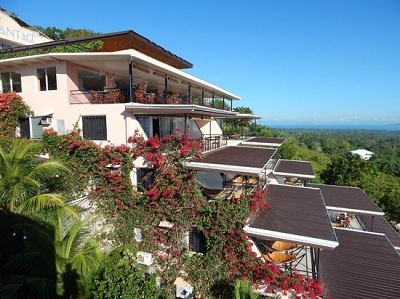 Perched atop a hill, this luxurious destination has a panoramic view of the sea, welcoming you to experience the charming Filipino hospitality along with superior services and facilities at this hotel. 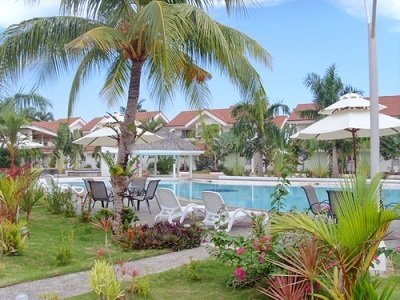 See also other Bohol Hotel listings.